Welcome to my repairs page. 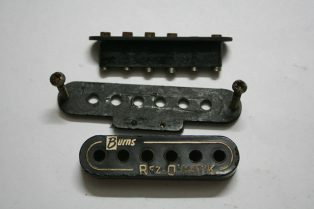 I am currently not taking in any pickups repairs but may do so in the future. I have been winding pickups since about 2008 and have had the pleasure of repairing a plethora of vintage and modern pickups. The first real big job I had was an original 1946 Rickenbacker horseshoe from a lapsteel and it has only got more exciting from there. I offer quality pickup repairs, rewinds and also pot restorations. Shipping to me is no problem and I offer a prompt turn around.